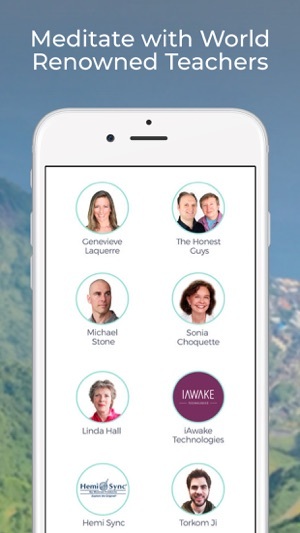 Meditate with world renowned teachers and rediscover your calm with Mindbliss. 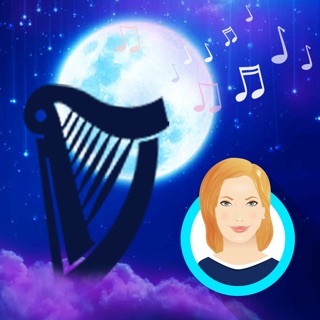 Boost your self-confidence, improve sleep and learn to overcome stress, anxiety and grief through simple guided meditation and breathing exercises. 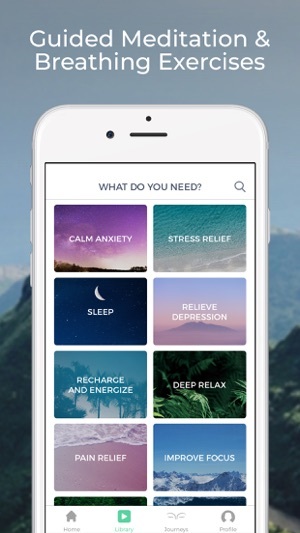 Mindbliss’ calming, simple guided meditation tools were designed by the best teachers to help you cultivate a powerful daily personal practice, gain valuable insight and become happier. You can choose your favorite tools from seven different categories and Mindbliss’ will help you discover meditation sessions and journeys that best fit the needs of your practice. • A highly intelligent algorithm to help you discover sessions and journeys that best fit the needs of your practice. 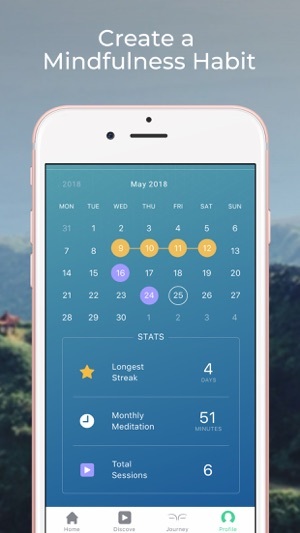 • Mindbliss uses Apple Healthkit to help you track your mindful minutes. 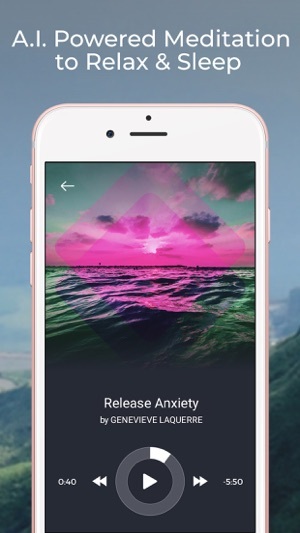 • Calming meditations that reduce anxiety and give you stress relief. • Guided meditation exercises to build self-esteem, self-confidence and better perspective. 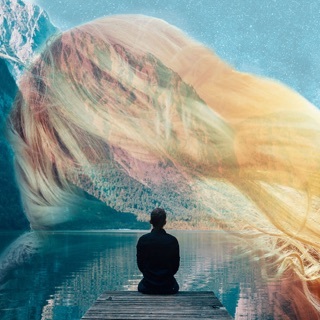 • Advanced Brain Entrainment Technology using binaural beats meditation for deep positive transformation. • Sophisticated Breathing Exercises to synchronize the body and mind and calm your nervous system. • Visualization Exercises for clarity, self-confidence, positive affirmations and mental rehearsals. 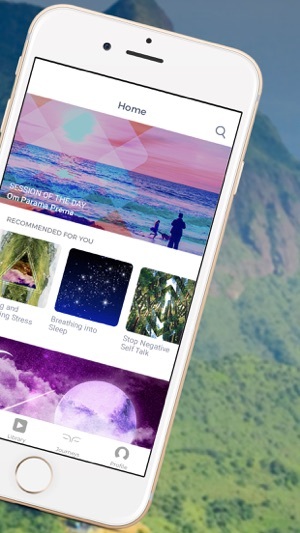 • Vast library of relaxation music and sounds. • 3D Nature Soundscapes - meditation sounds for restorative journeys of the mind and spirit. • Hypnotherapy to overcome anxiety and gain control over subconscious fears and self-esteem. 1 - Sessions - Relax and become present with single sit meditations and save your favorites for offline listening for a clear mindspace. 2 - Journeys - Take your practice deeper by engaging in a series of meditation sessions that span multiple parts over 5 to 9 days. 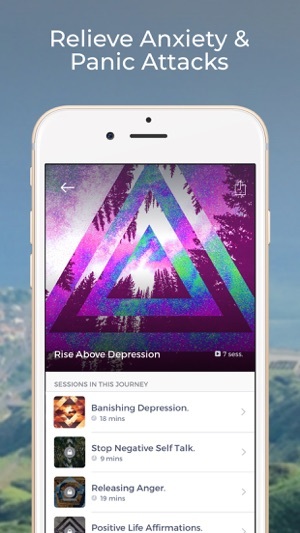 - Anyone can try Mindbliss for free meditation exercises and instantly get access to 15 sessions, 3 journeys, and daily meditation sessions. - Monthly and yearly plans grant instant access to the entire collection of over 400 meditations and 12 journeys, with new sessions added regularly. We updated our player that was causing some issues. Thank you for sending your feedback. It really helps make Mindbliss better for all of us. Thank you for meditating with us. Mindbliss is simply amazing. The content and the overall essence of it surpassed my expectations. I am happily a premium user. The only flaw is the way the app functions. It is frustratingly buggy. I have to constantly restart app to get it to respond. I often have to listen to the same lesson more than once before it automatically goes to the next one. This app would “easily” be 5 stars if not for those pesky bugs. I have been using it everyday for over a month. After every update my hopes are high that the issues will be resolved, but they are not. I really enjoy using Mindbliss bugs and all. I only hope that the app is overhauled in such a way that the app functions as well as the content it provides. The content is amazing and life altering. It needs to function way better to ascend to the 5 star level this app deserves. I still give it 4 stars because of the overall content which should the topic of the conversation not the performance of the app. Hi MrE2u, thank you so much for leaving a detailed review. :) We have brought this very important feedback to the team. 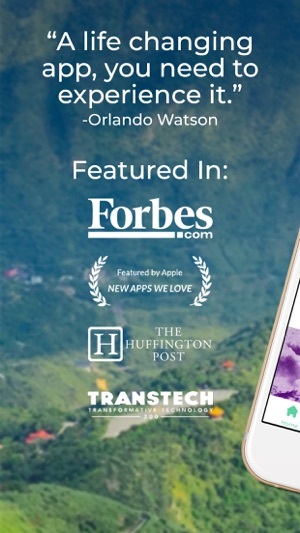 It is our priority to create an app that performs well and surpasses all your expectations. It really is our labour of love. Please know that your love and support means everything to us. Thank you for your trust in us amidst these bugs. Sending love to you. I’ve been using this app for about a week now, and I am pleasantly surprised by how calm I feel and how much I look forward to my next meditation practice. There is so much variety in the library. While I originally thought the subscription was too pricey, I realize now that it’s worth the money for me personally because it adds tremendous value to my day. My only gripe is that I thought I was signing up for a 14-day trial, but I was immediately charged the monthly fee. I haven’t had that happen before with any other app I’ve tried. Not sure if that was an App Store error or a coding error with how the trial is set up, but I don’t think it should have charged me until the end of my 14 days. That aside, my experience so far has been very rewarding. I would recommend this for anyone looking for guidance and support in their meditation practice or looking to improve their self talk and inner well being. Thank you so much for writing this beautiful review. We really appreciate your feedback and it’s important for us that you have a great experience. I’m sorry to hear about the billing issue. We offer the 14-day trial for the annual plan only for now. Please send us an email at support@mindbliss.com if you would like to make changes to your subscription. We would love to help. Thanks again for meditating and relaxing with us. I want to say that Sammie has provided the best customer support of anyone anywhere—and I have tons of experience with online support as I regularly enroll in classes and purchased products online. The quality of support varies, of course, but in all these years—probably ever since the Internet was launched—I have never received the kind of support as I have from Sammie. It’s in its own stratosphere. And I am not exaggerating. Sammie was always prompt and very kind as she walked me through my issues. I’ve decided that Mindbliss must be an exceptional company if they have people like Sammie as staff. Thank you and I only wish every company offered such superior customer service!! !